You have been guided to the Sunnah! Do you know what the Sunnah is?! You have been guided to the Sunnah in this time where those who apparently ascribe themselves to the Sunnah many betray it! Allah جلا وعلا has guided you to knowing the truthful scholars that have been praised (given tazkiyah) by the Imams such as Shaykh Rabee’! The one who was praised by al-Albaanee and Ibn Baz and Ibn Uthaymeen! Bring me an ‘Alim where there has been agreement on his tazkiyah other than this man (Shaykh Rabee’) !! An extremely beneficial lecture delivered by the noble Shaykh Ahmad as-Subay’ee (hafidhahullaah), organized by Muwahhideen Publications The Shaykh delved into some very important principles of the methodology of this blessed dawah-tus-salafiyyah. The Shaykh began with an exaltation towards brotherhood and giving due rights to one another, mentioning the tremendous value of those rights. Then he mentioned that the rights of the scholars are even greater, because not only do they have the right of being muslim but also the right of having knowledge and spreading it. With regard to the rights of a scholar, the Shaykh explained that one must not deal with the mistakes of a scholar from ahl sunnah like a “scholar” from ahl bida’. As is the statement from the salaf, in reference to the knowledge of the scholars, that when the water reaches a certain amount it does not carry the impurities, so too is the high status of the scholars of ahl sunnah which must be taken into consideration. The Shaykh mentioned some fundamentals concerning the difference between dealing with the general population of the muslims and the scholar known to be upon the sunnah versus the people of innovation, namely the impermissibility of reversing these rights. He mentions that there is a devious practice done today which is the intentional disregard of properly administering these rights in order to cause confusion and discord amongst the masses of the muslimeen. At one point, the Shaykh interrupted the translator and highlighted a principle that, when mentioning the name AbdurRahmaan AbdulKhaaliq it is necessary to mention the group that he belongs to, for maximum clarification. He exposed the falsity of those who try to defend the likes of known deviants and innovators like Sayid Qutb and AbdurRahmaan AbdulKhaliq by comparing them to the two great scholars from the salaf, Imaam an-Nawawi and al-Hafidh Ibn Hajr al-Asqalaani, claiming that these two from the modern day callers are similar to these two great scholars from the salaf who had some mistakes. This absurd comparison is extremely misappropriated. The Shaykh elaborates on the reasons why and much much more. 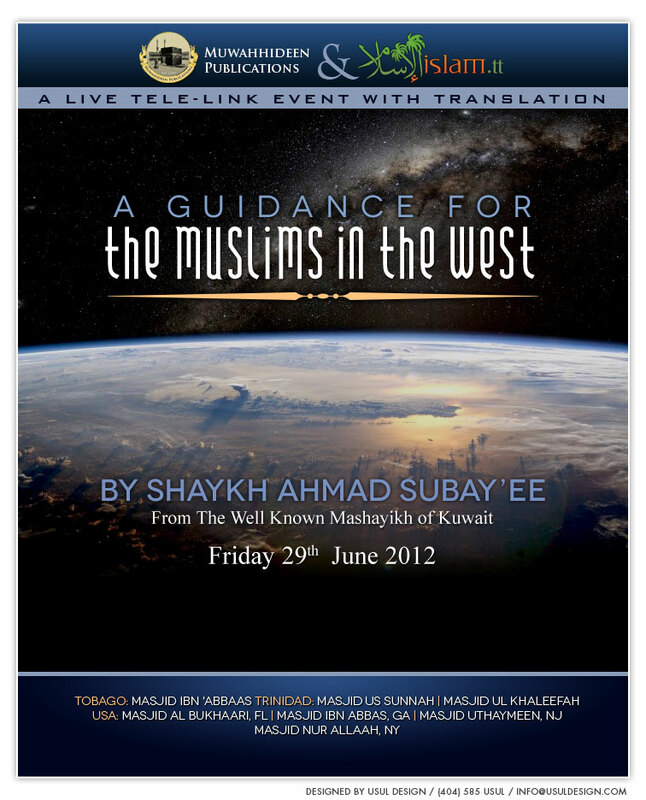 This lecture is a must listen for the people of the sunnah in the west!